Health is social. Health is mobile. What are you spreading? New NLM widgets to access information from MedlinePlus on your own website or blog such as the search cloud. The mobile web is just one part of social medicine. How’s it working for MedlinePlus? The Mayo Clinic Center for Social Media, a first-of-its-kind social media center focused on health care. With sites like the Mayo Clinic recently announcing their Center for Social Media, many more hospitals will follow once they discover that social media in healthcare is here to stay. Can Twitter and Facebook help prospective medical students? To make social media work well you need to integrate it with more traditional approaches that capture the imagination and inspire people. The FDA’s CDER is considering the development of a new blog aimed at communicating matters of drug safety and risk management. FDA Advances in Social Media – What’s it Mean for Industry? Does Facebook and other social networking services damage the profession of physicians or the public trust? Slideshow discussing the importance of understanding the nature of emerging media before just jumping into the latest craze. healthfinder.gov tool that makes it easier and faster to find actionable prevention and wellness tips. There are many ways to engage patients. The Israel Deaconess Medical Center iPhone app enables patients to learn more about the medical center and search for affiliated doctors. Increased efficacy, safety and patient satisfaction for dermatologic procedures. Technological Advances in Medicine & Dermatology, part 2. Conversation is great, but social collaboration is much better. Flipboard is a personalized social magazine specifically designed for the iPad. That concludes this month’s edition of MedLib’s Round. Past and future hosts can be found on the MedLib’s Round blog carnival index page. If you’d like to follow along with MedLib’s Round every month, subscription options are available: you can follow by email or RSS feed. 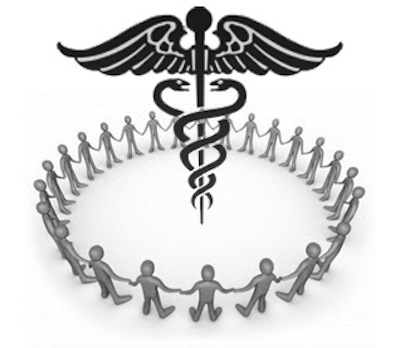 An aggregated feed of credible, rotating health and medicine blog carnivals is also available. The Health and Medicine Blog Carnival Mashup can also be followed on Twitter @BioMedCarnivals, FriendFeed (BioMedical Carnivals) and Facebook (BiomedCarnivals). Mobile Access 2010. Pew Internet & American Life Project. 2010 Jul 7.